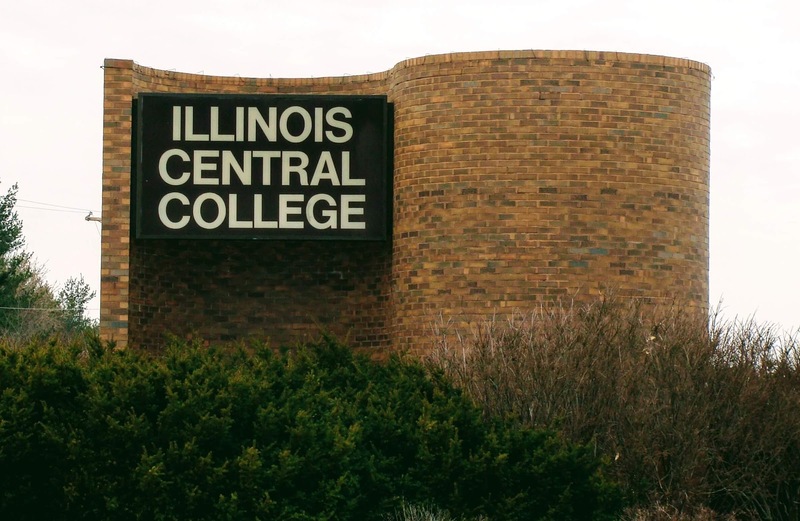 Illinois Central College presented Dean's List honors to students who earned a grade point average of 3.5 - 3.99 on a 4.0 scale for Spring 2017 semester. Brooke Barkley of Germantown Hills, Ill.
Kelli Kiesewetter of Germantown Hills, Ill.
Joshua Heerman of Germantown Hills, Ill.
Isabelle Klein of Germantown Hills, Ill.
Jacob Mcgrew of Germantown Hills, Ill.
Eric Dietz of Germantown Hills, Ill.
Jacob Heerman of Germantown Hills, Ill.
Hannah Mueller of Germantown Hills, Ill.
Logan High of Germantown Hills, Ill.
Jacob Remmert of Metamora, Ill.
Amanda Johnson of Metamora, Ill.
Tyler White of Metamora, Ill.
Kristina Brown of Metamora, Ill.
Kasondra Cooper of Metamora, Ill.
Mitchel Ealey of Metamora, Ill.
Karagen Fandel of Metamora, Ill.
Samantha Heiden of Metamora, Ill.
Dayna Traver of Metamora, Ill.
Cody Winkler of Metamora, Ill.
Makenna Hall of Metamora, Ill.
Hannah Anderson of Metamora, Ill.
Ty Kuzel of Metamora, Ill.
Caitlin Mcdaniel of Metamora, Ill.
Emily Tyler of Metamora, Ill.
William Jacobs of Metamora, Ill.
Erin Ryan of Metamora, Ill.
Nicholas Brunk of Metamora, Ill.
Jessica Cupples of Metamora, Ill.
Jared Ambrosch of Metamora, Ill.
Alexis Kahler of Metamora, Ill.
Samantha Morgan of Metamora, Ill.
Sabrina Huser of Metamora, Ill.
Mackenzie Rambaud of Metamora, Ill.
Cole DeLap of Metamora, Ill.
Caitlin Gillhouse of Metamora, Ill.
Tara Grieves of Metamora, Ill.
Tara Hinshaw of Metamora, Ill.
Lucas Pycz of Metamora, Ill.
Ryan Tracy of Metamora, Ill.
Aaron Hoffman of Metamora, Ill.
ICC students receiving a perfect 4.0 grade point average (on a 4.0 scale) were honored by being named to the President's List for the Spring 2017 semester. Jacob Burgess of Germantown Hills, Ill.
Preston Widmer of Germantown Hills, Ill.
Amy Defreitas of Germantown Hills, Ill.
Gabriel Taylor of Germantown Hills, Ill.
Hailey Mueller of Germantown Hills, Ill.
Ethan Hopp of Germantown Hills, Ill.
Lynette Mientus of Germantown Hills, Ill.
Alexander Miraski of Germantown Hills, Ill.
Kendall Fromm of Germantown Hills, Ill.
Michael Keele of Germantown Hills, Ill.
Victoria Gaston of Germantown Hills, Ill.
Cameron Doerr of Germantown Hills, Ill.
Amy Shannon of Metamora, Ill.
Samantha Kerker of Metamora, Ill.
Nicole Rose of Metamora, Ill.
Hannah Dungan of Metamora, Ill.
Corbin Adams of Metamora, Ill.
Jacob Bevirt of Metamora, Ill.
Katherine Vieck of Metamora, Ill.
Robert Kessler of Metamora, Ill.
Cassandra Fitzgibbons of Metamora, Ill.
Jack Schaffer of Metamora, Ill.
Megan Blevins of Metamora, Ill.
Kenzie Krei of Metamora, Ill.
Alysa Guede of Metamora, Ill.
Maxwell Ward of Metamora, Ill.
Christopher Joseph of Metamora, Ill.
Megan Miller of Metamora, Ill.
Melissa Butler of Metamora, Ill.
Leah TerBush of Metamora, Ill.
Rachel Klein of Metamora, Ill.
Elizabeth Hoover of Metamora, Ill.
Hyojung Lee of Metamora, Ill.
Susan Hayes of Metamora, Ill.
Gregory Johnston of Metamora, Ill.
Josh Hulett of Metamora, Ill.
Kate Roethler of Metamora, Ill.
Kyle Barrow of Metamora, Ill.
For information on ICC and its programs, call (309) 694-5-ICC or visit icc.edu.